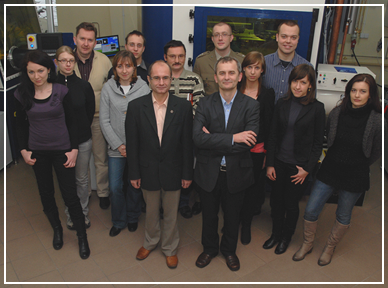 Research Line 1 – Coordinator: Prof. Krzysztof Czupryński, PhD, D.Sc., Eng. Magdalena ŻURAWSKA , PhD (since 1.04.2010). Wojciech REJMER, MSc, Eng. (to 31.09.2011 to 30.09.2014). Olga CHOJNOWSKA (from 1.06.2009 to 31.08.2010) . Jerzy ZIELIŃSKI, PhD, DSc, MUT professor (to 31.12.2012). 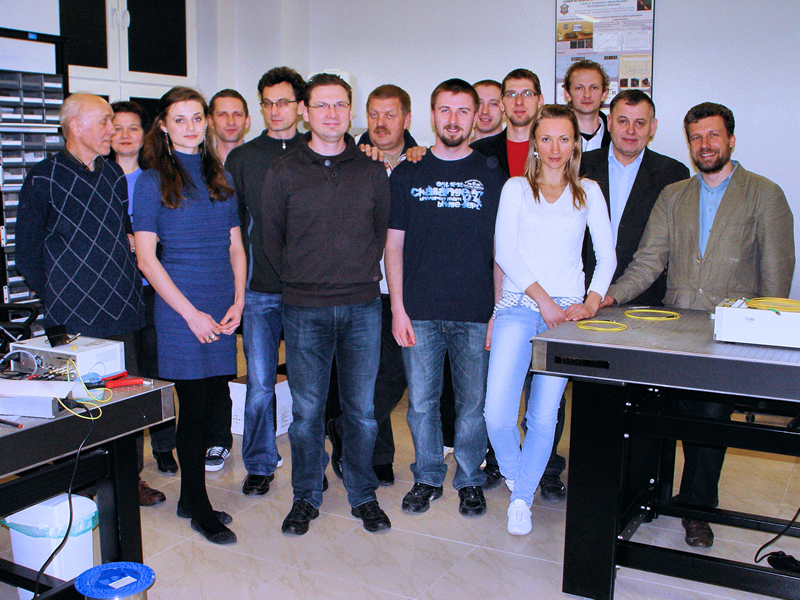 Marcin ZGUTKA, MSc, Eng., (since 1.10.2009 to 31.12.2011). Maciej WOCIAL (from 1.11.2009 to 30.06.2010). Prof. Leszek JAROSZEWICZ, PhD, DSc, Eng. (external expert from 1.07.2009 to 30.06.2010). Stanisław LIPIŃSKI , MSc, Eng. Tadeusz TENDERENDA, MSc, Eng (since 1.11.2011 to 31.08.2014). 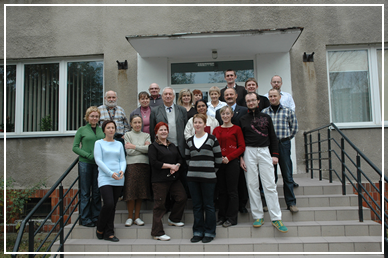 Research Line 2 – Coordinator: Prof. Stanisław Kłosowicz, PhD, DSc, Eng. 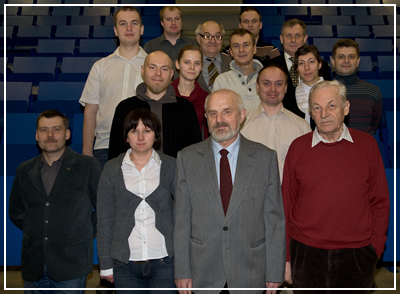 Research Line 3 – Coordinator: Prof. Jarosław Rutkowski, PhD, DSc, Eng. Lt. Małgorzata KOPYTKO, Dr, Eng. Jarosław WRÓBEL, MSc, Eng. (to 31.03.2013). 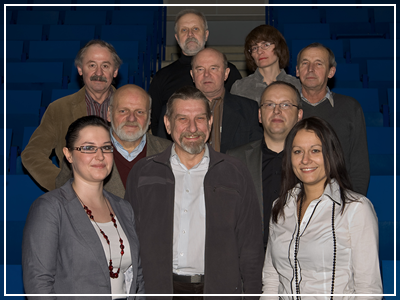 Research group responsible for research and technology of materials designed for hydrogen storage led by Jerzy Bystrzycki PhD, DSc, Eng. Prof. of MUT, cpt. Marek POLAŃSKI, DSc, Eng. cpt. Marek POLAŃSKI, PhD, Eng. Katarzyna WITEK MSc, Eng., (since 1.10.2015). Zbigniew WIŚNIEWSKI (from 1.01.2009 to 31.03.2009). 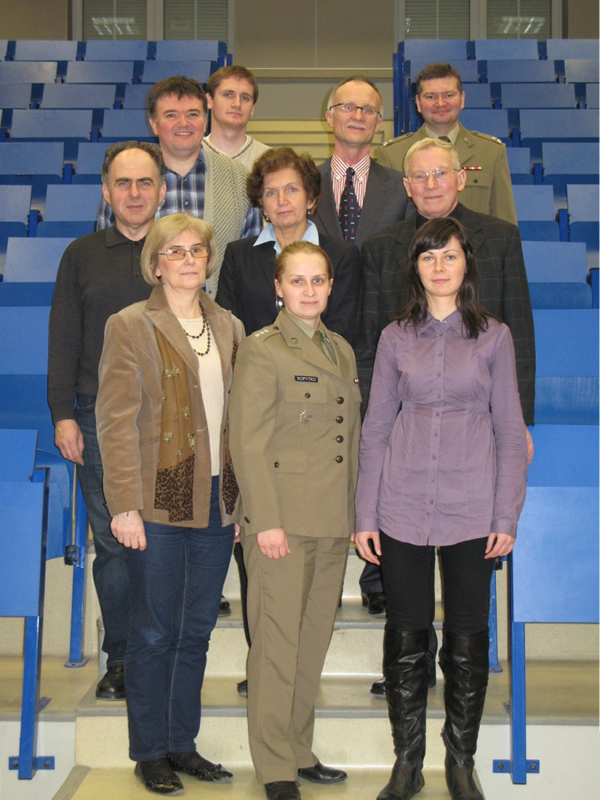 Marta MICHALSKA-DOMAŃSKA MSc (since 1.02.2011 to 30.04.2015, new position). Katarzyna WITEK ( from 1.10.2010 to 30.06.2012).